IMPORTANT: THERE IS NOT CURRENTLY AN EU DIVISION, BUT CONTACT CHROMATIC IF YOU ARE AN EU TEAM. AN EU DIVISION WILL BE MADE IF THERE ARE 10 OR MORE TEAMS. 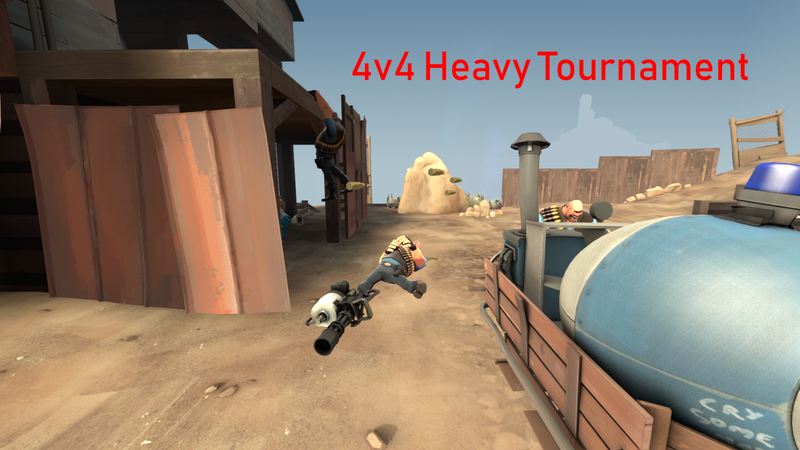 This is a 4v4 format where you can have only heavies and 1 medic. SIgnups will end on April 30th. Since there are only 4 weeks, signups will end automatically when there are 25 teams. Medals will be completed soon. 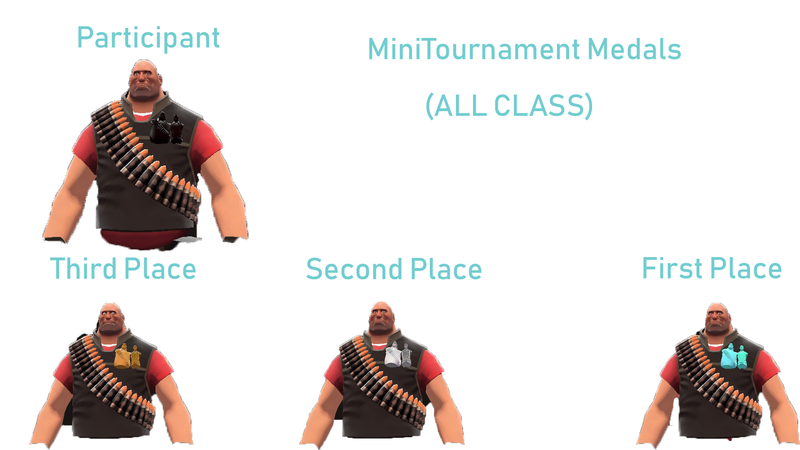 Scout, Soldier, Pyro, Demo, Engineer, Sniper, and Spy are banned. You can only have 1 medic on your team. Please use match comms for scheduling, and to announce forfeits. Provide the log and a scoreboard screenshot when reporting scores. Matches are stopwatch mode for payload, and best of 3 for KOTH. All players should record demos. If your team is not in the server 20 minutes after the scheduled time, the other team wins by default. Teams are not allowed more than 2 mercs in one game. If the other team feels that the merc's skill level is too high compared to their team, they can contact an admin and provide demos. No exploits, cheats or scripts. This will result in your team being disqualified if there is sufficient evidence.